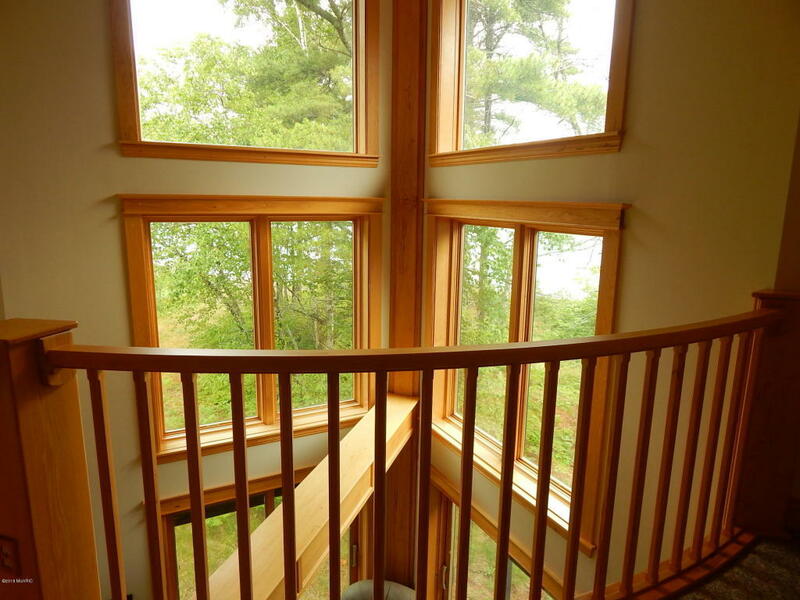 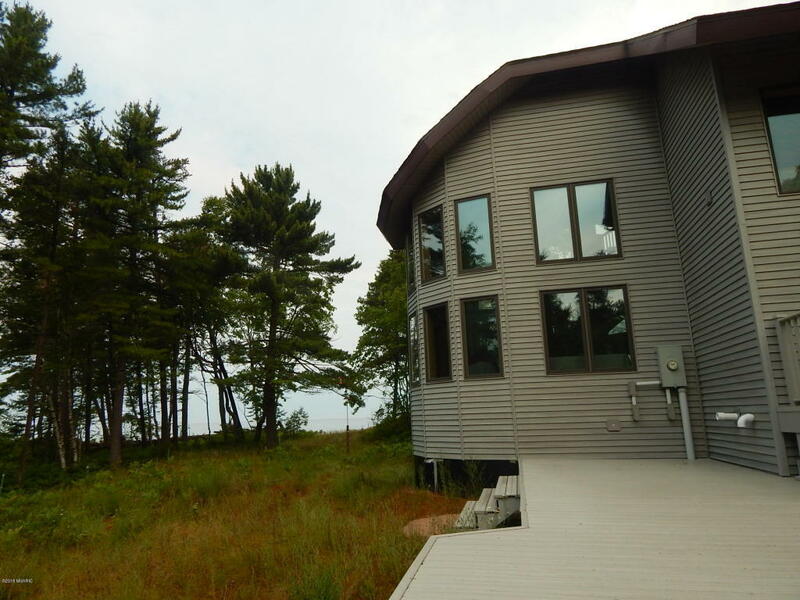 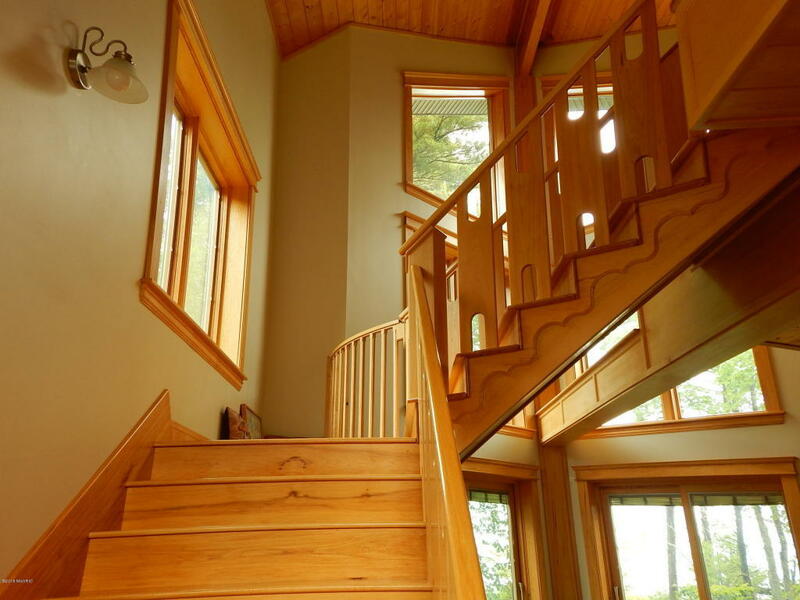 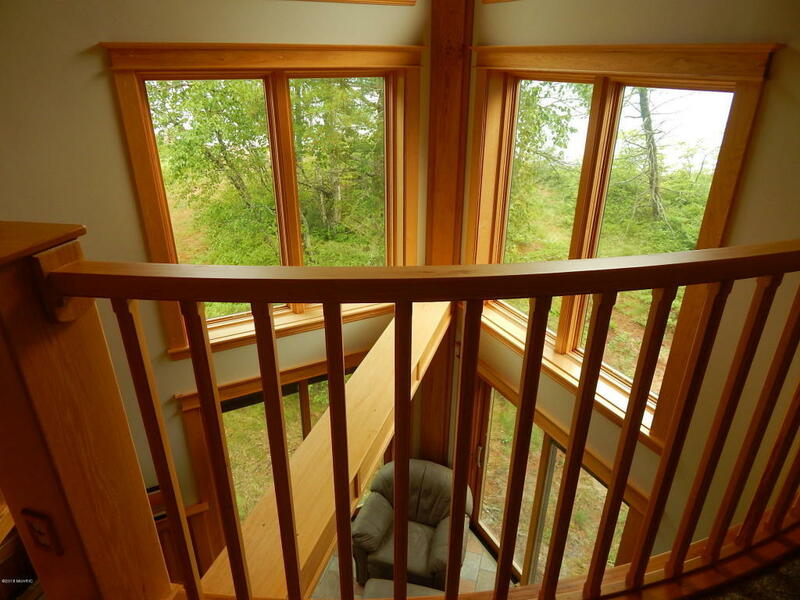 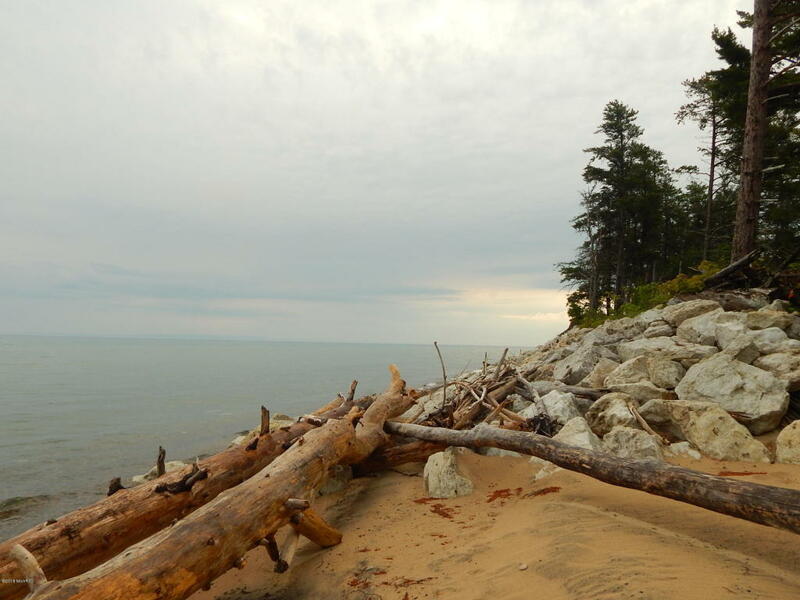 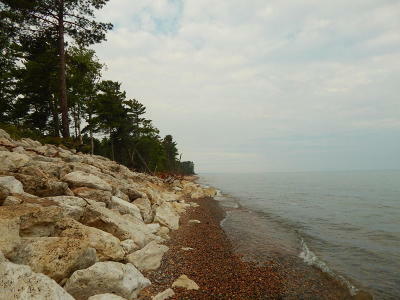 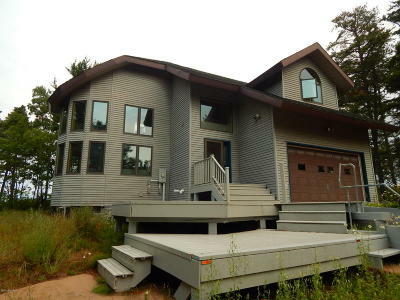 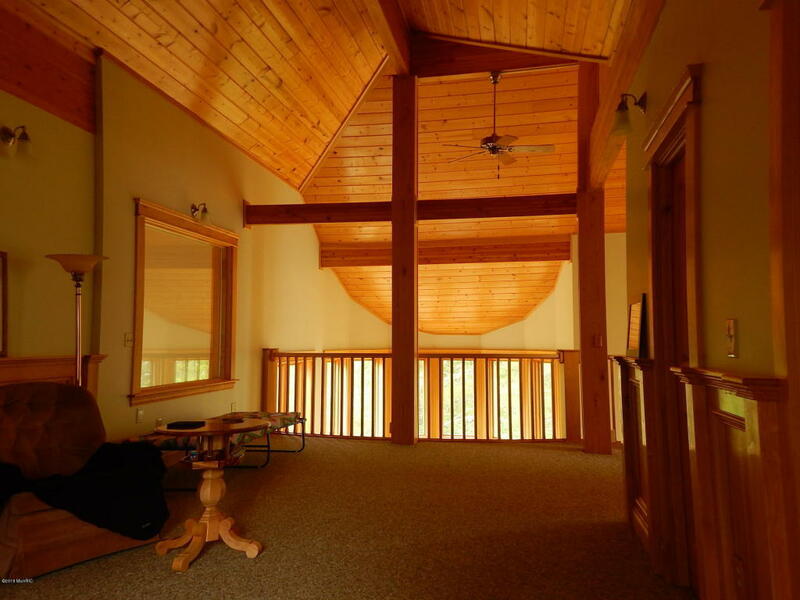 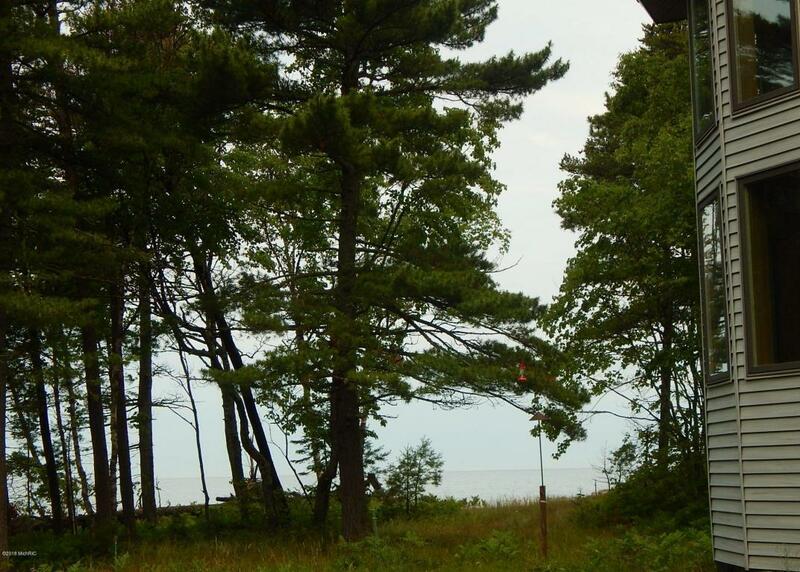 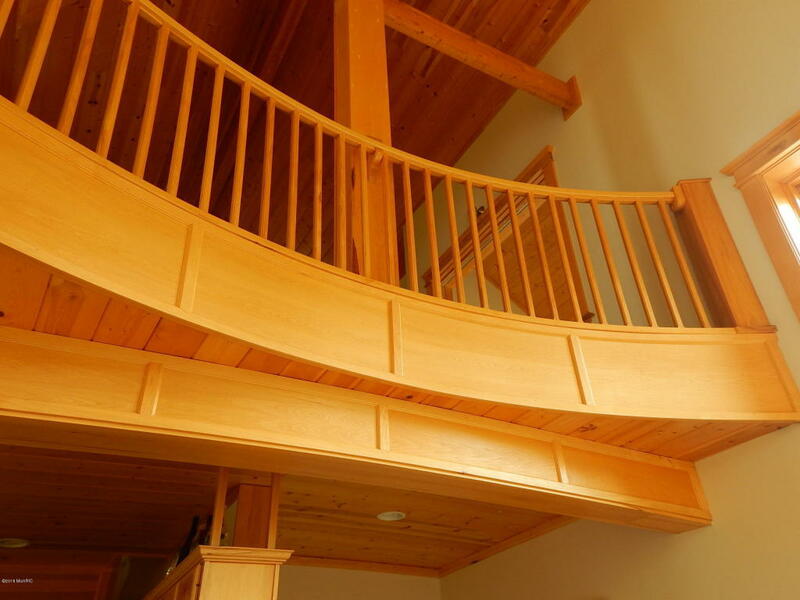 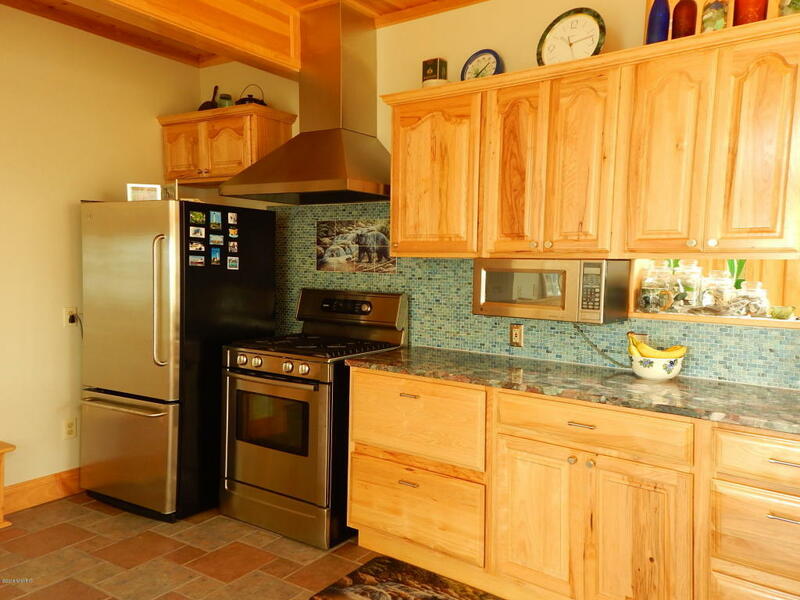 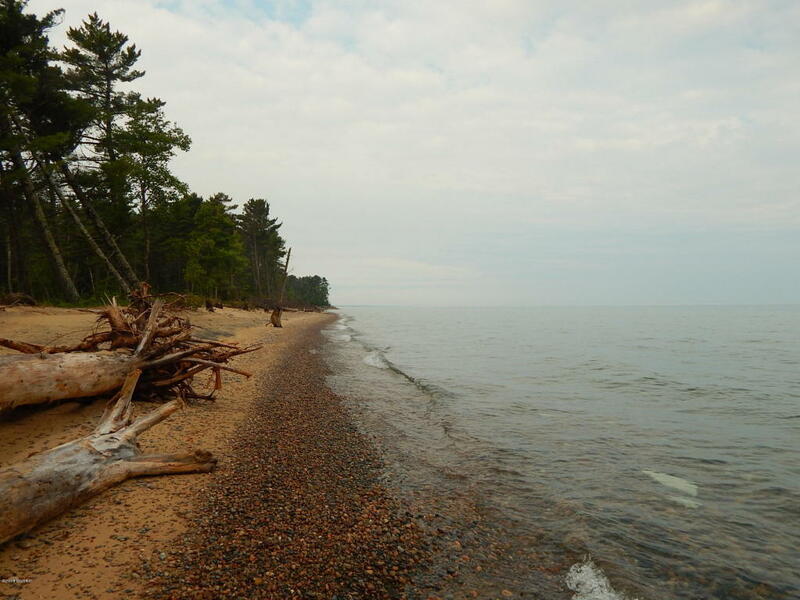 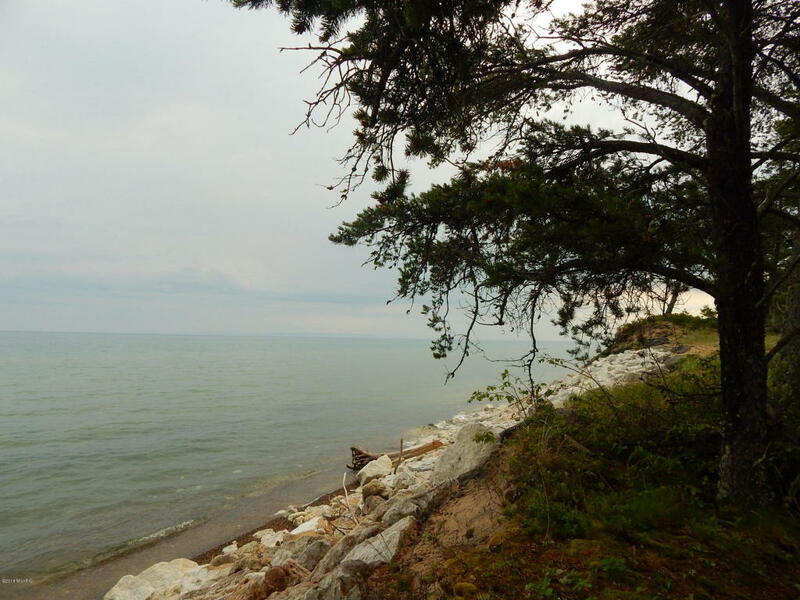 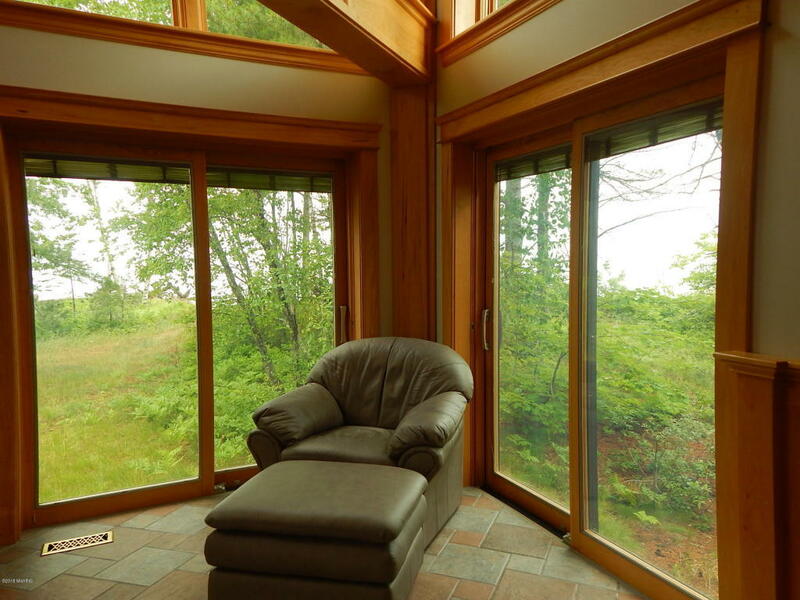 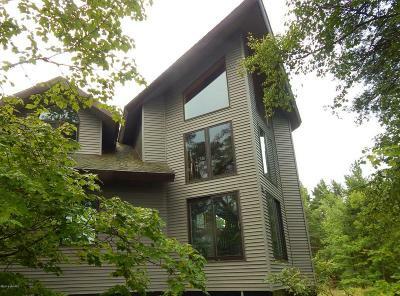 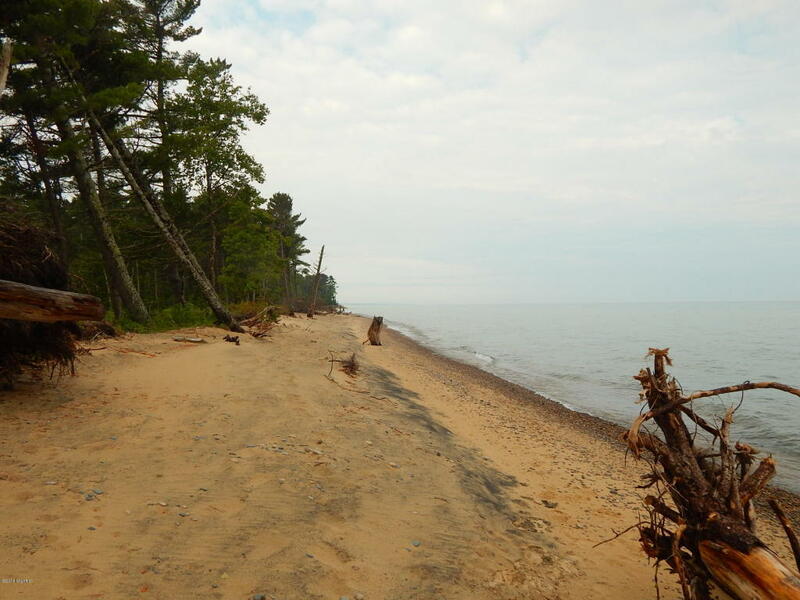 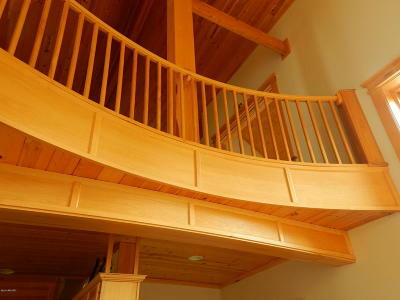 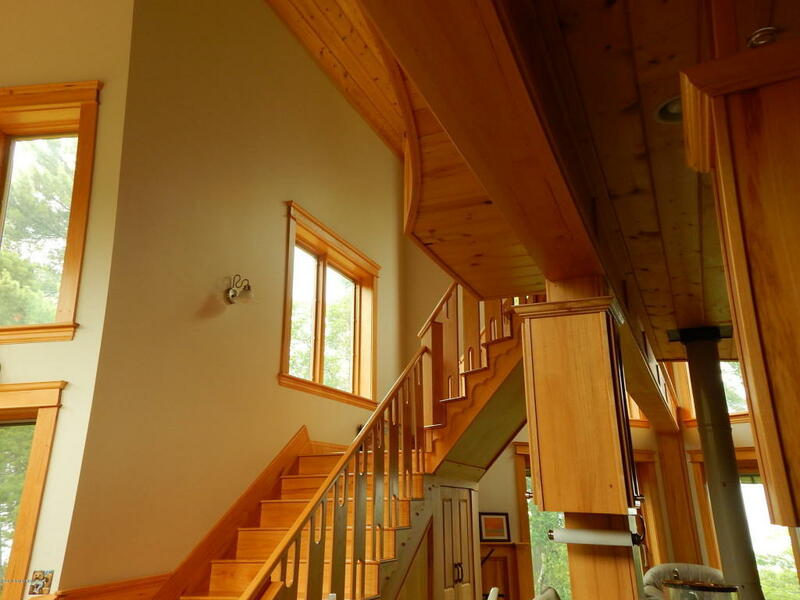 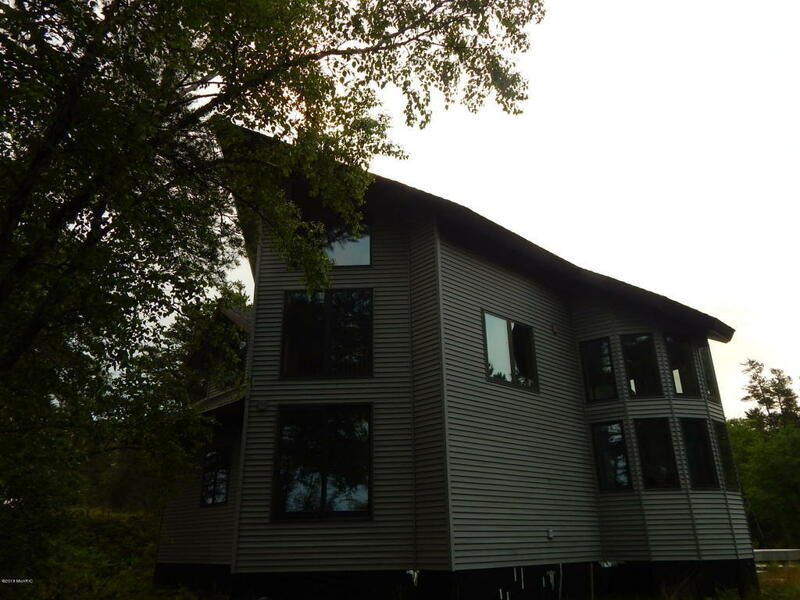 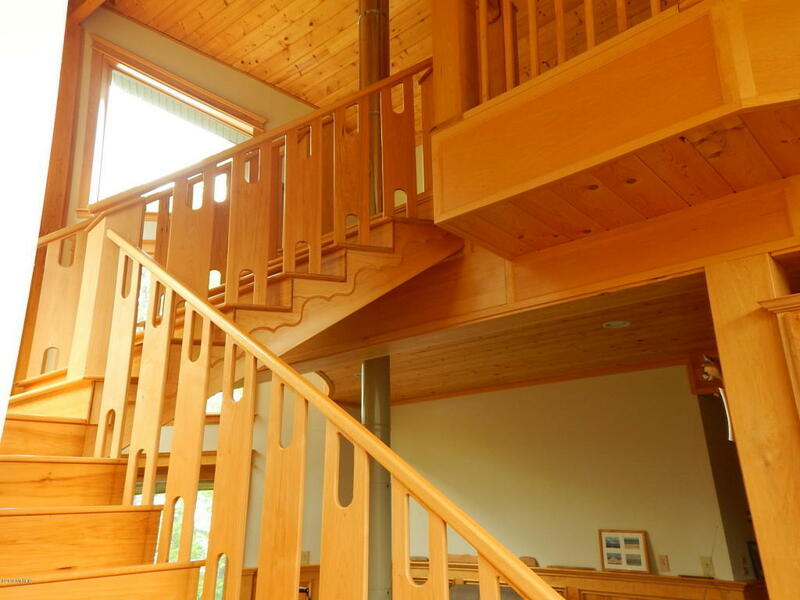 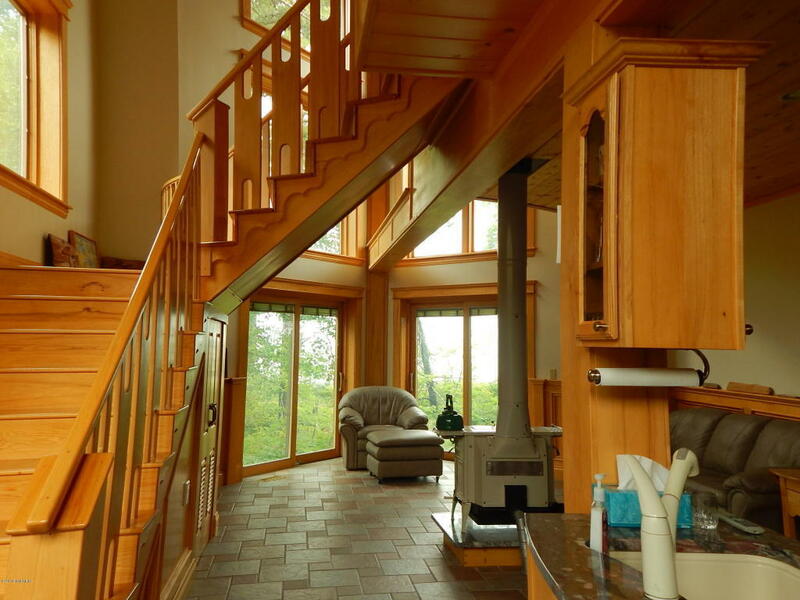 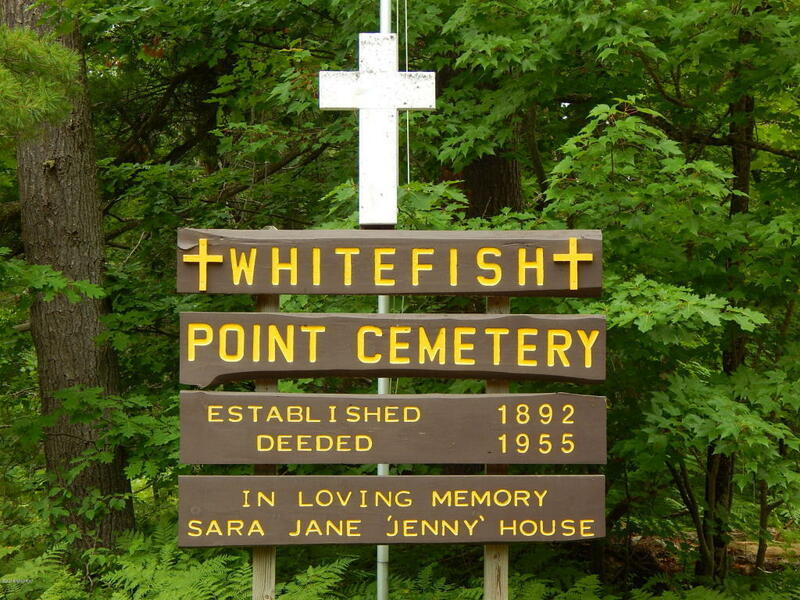 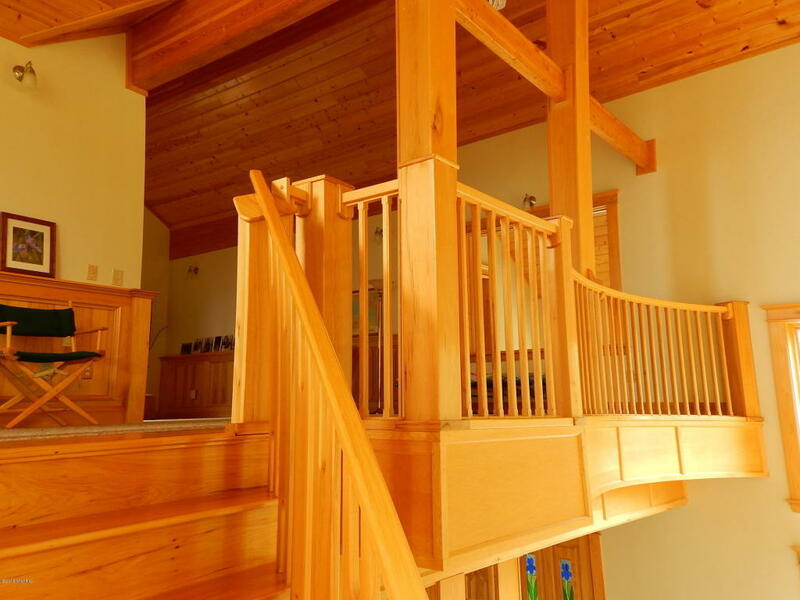 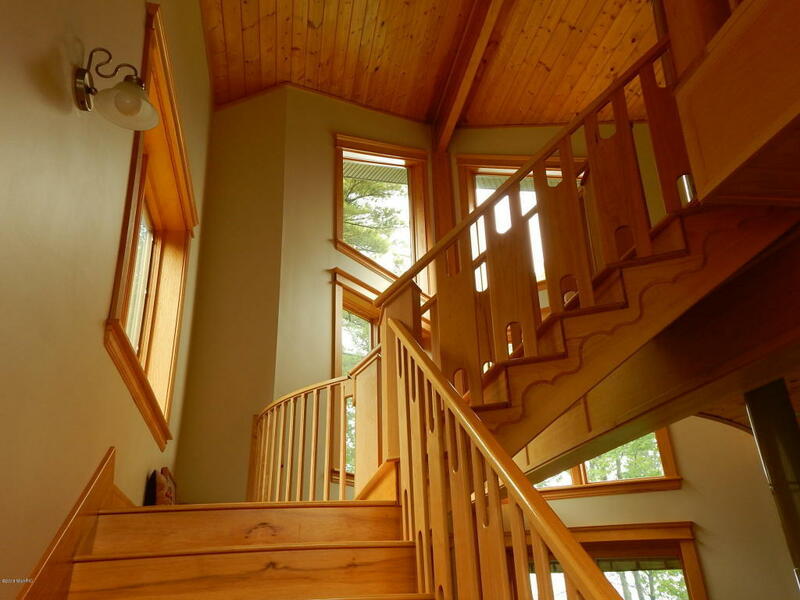 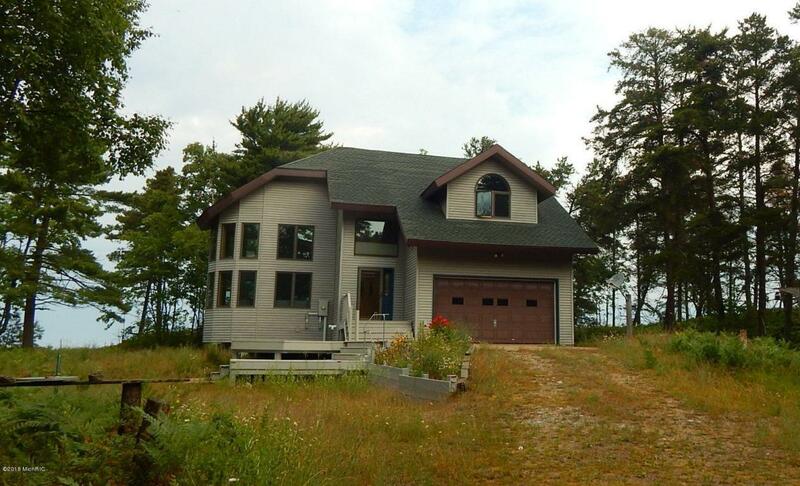 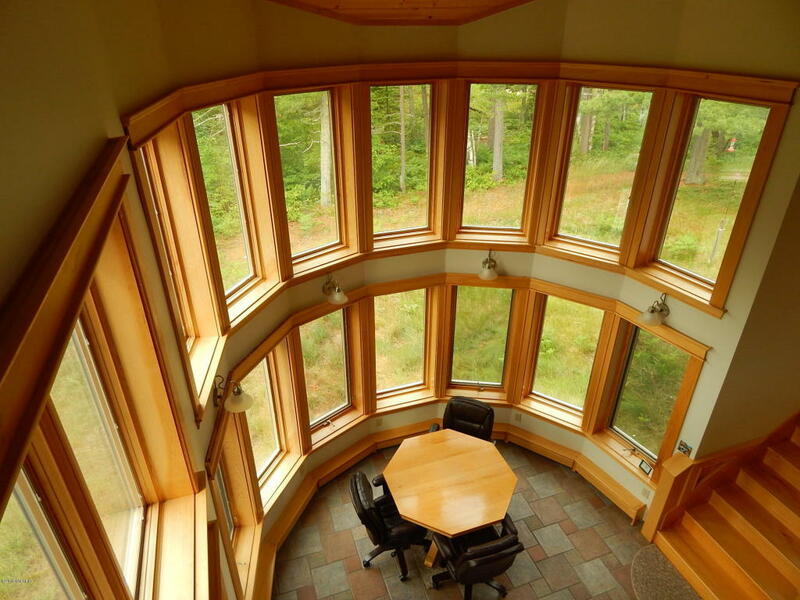 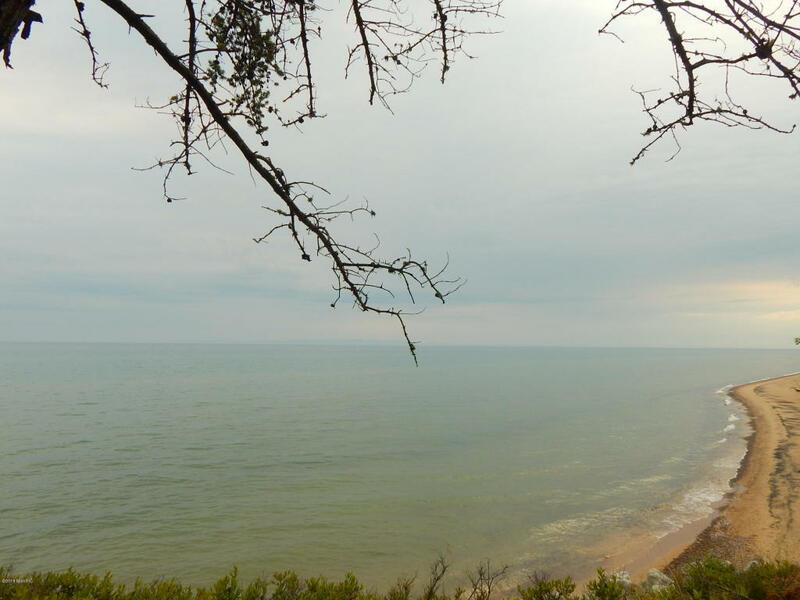 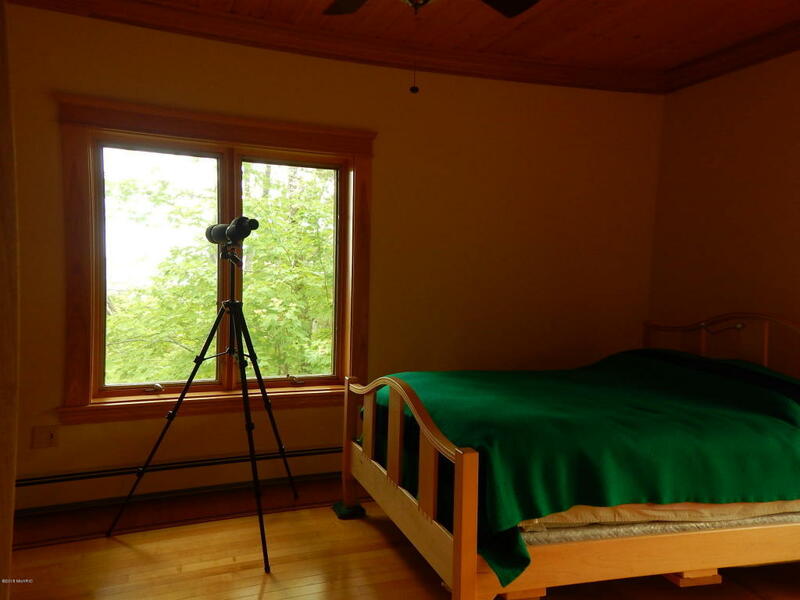 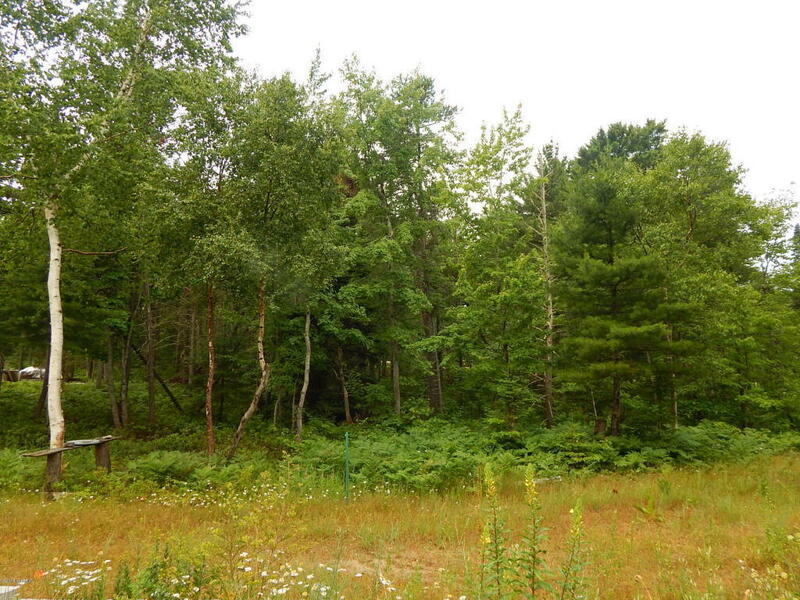 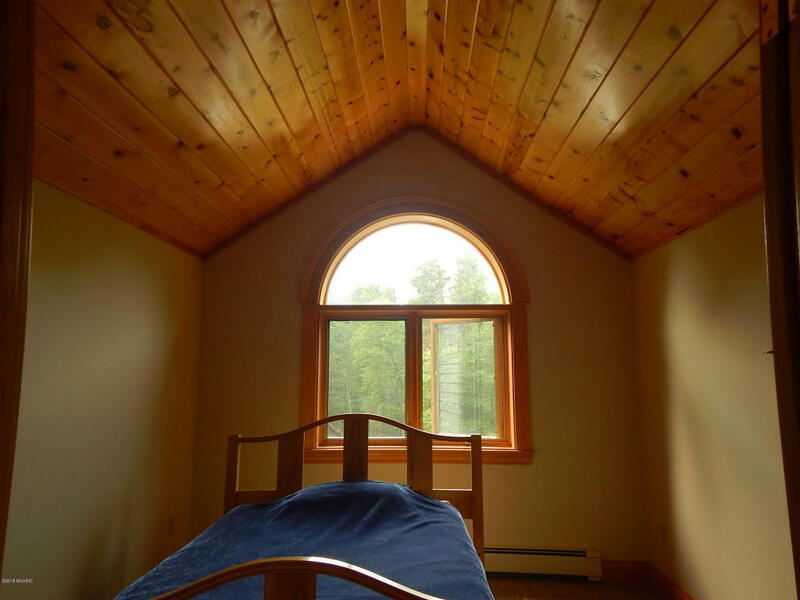 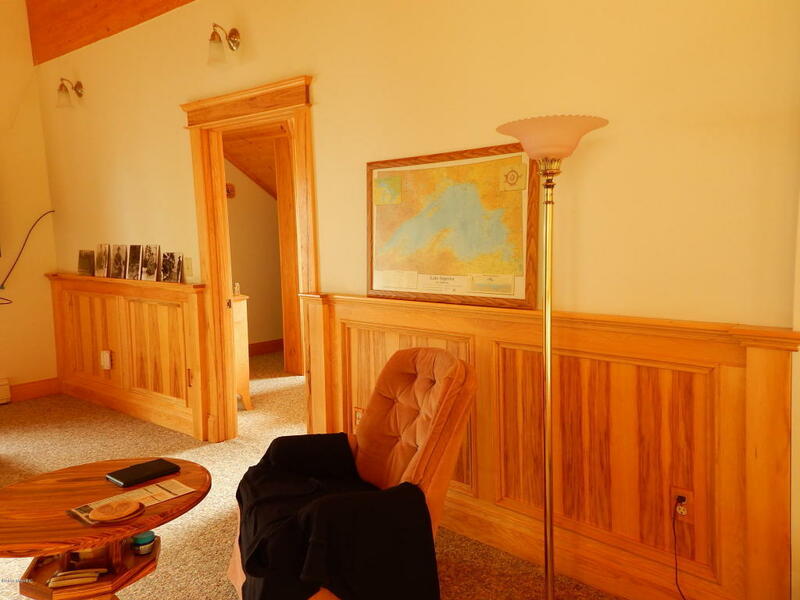 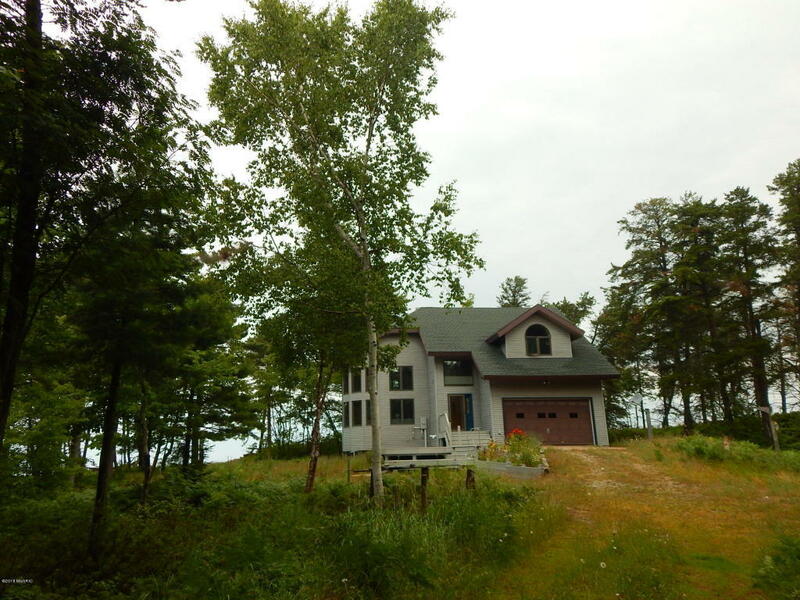 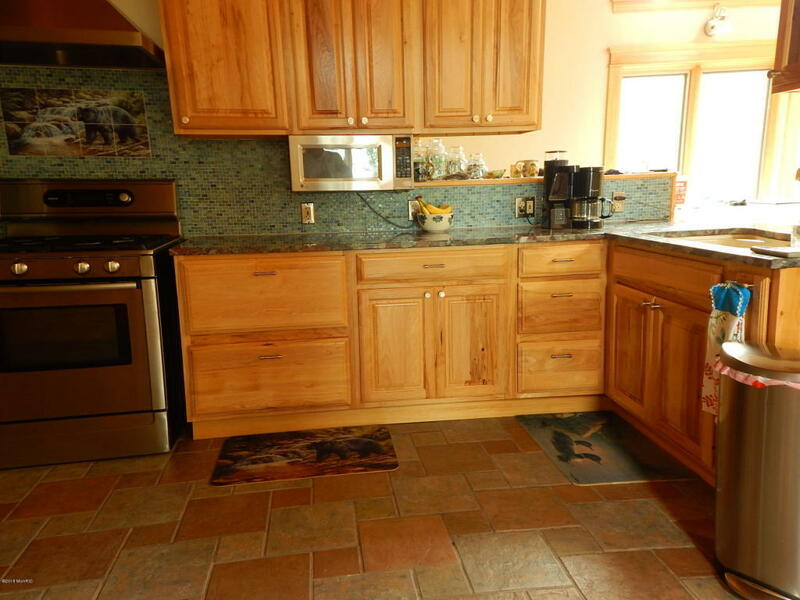 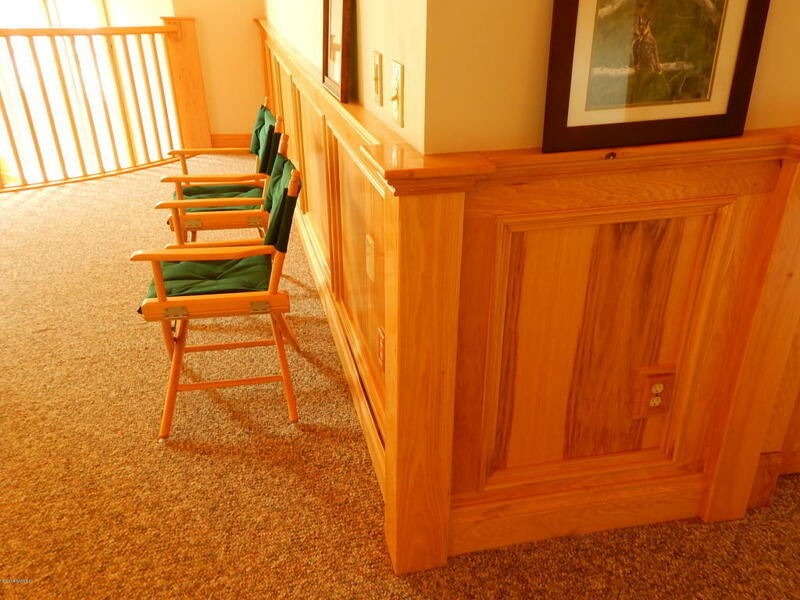 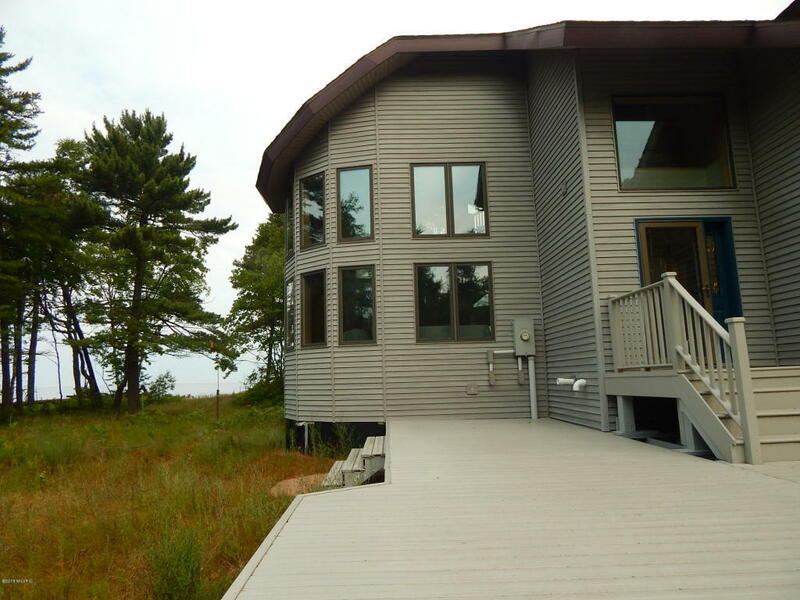 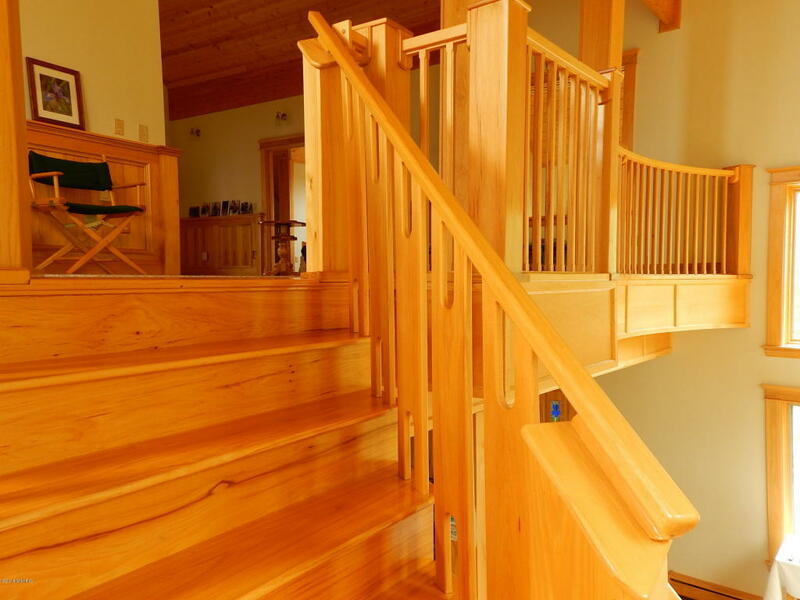 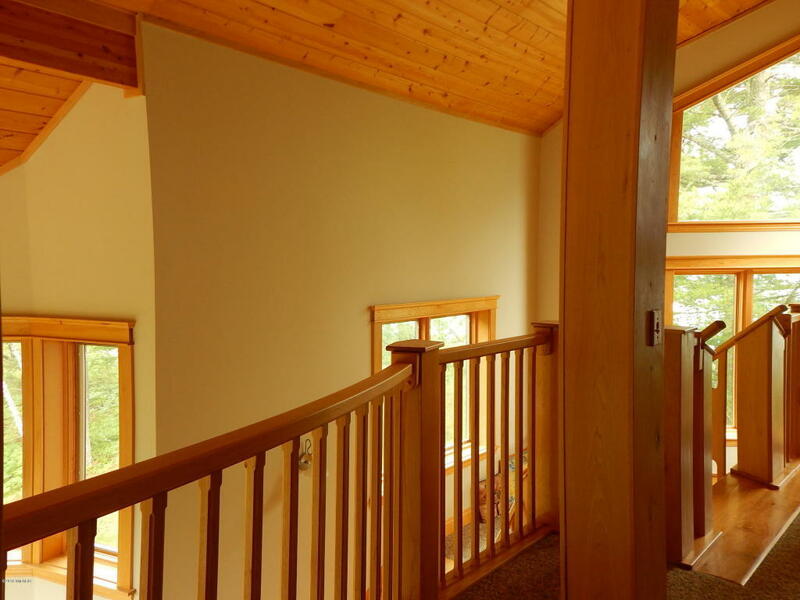 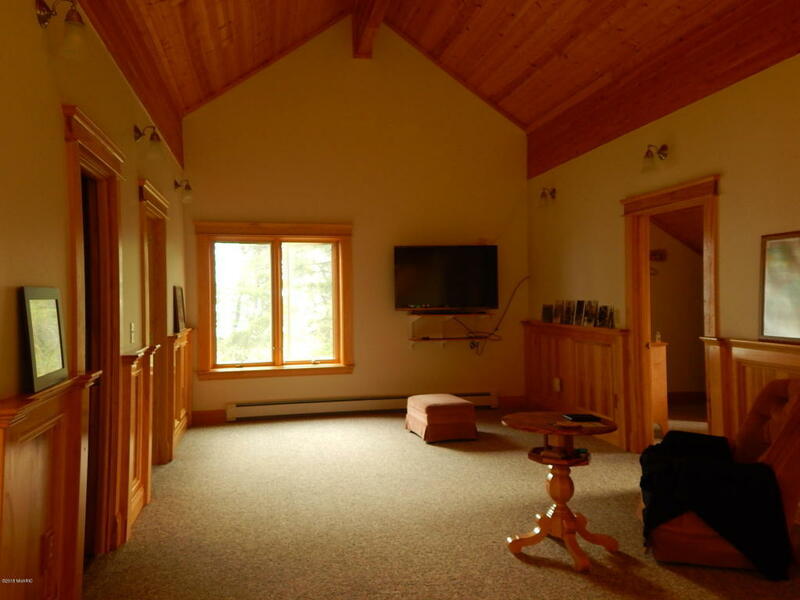 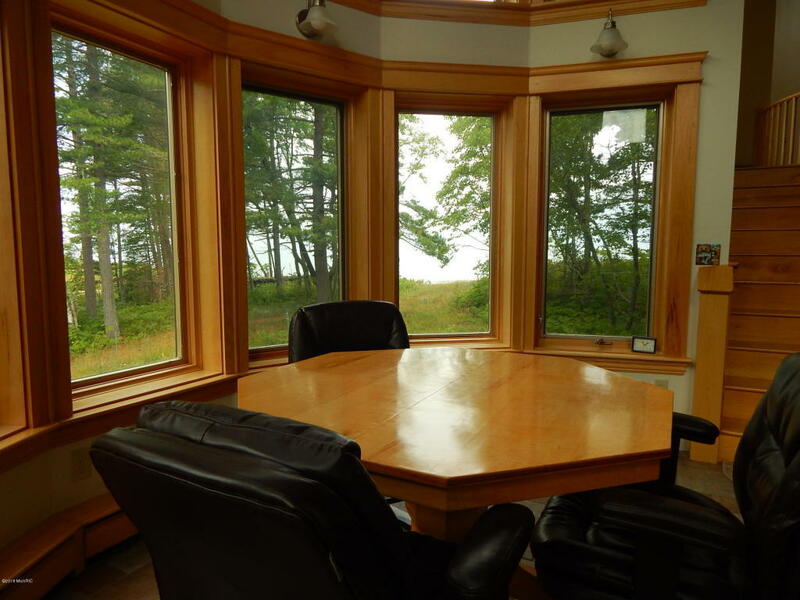 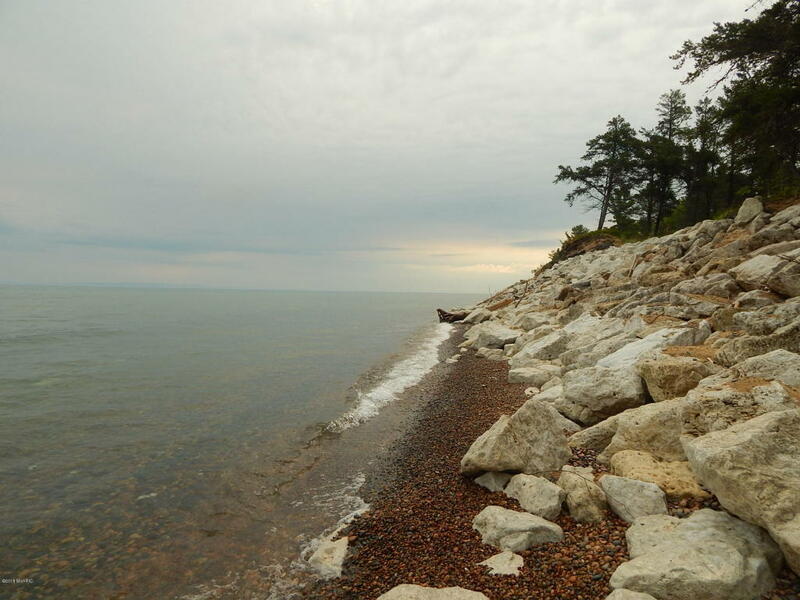 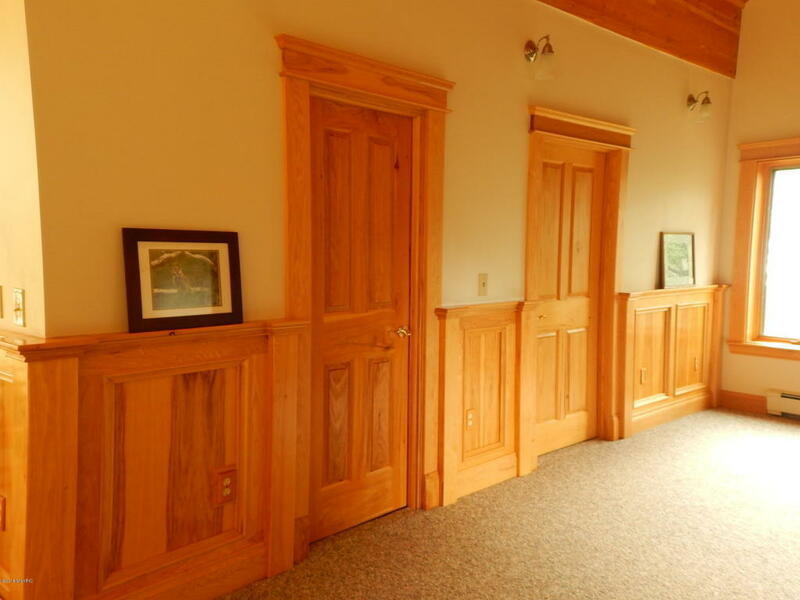 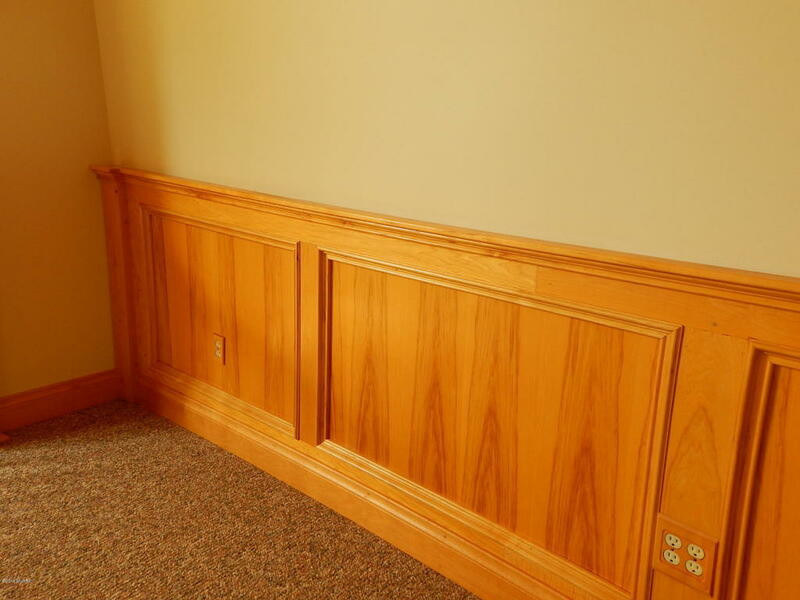 Breathtaking views of Lake Superior with a quality construction throughout! 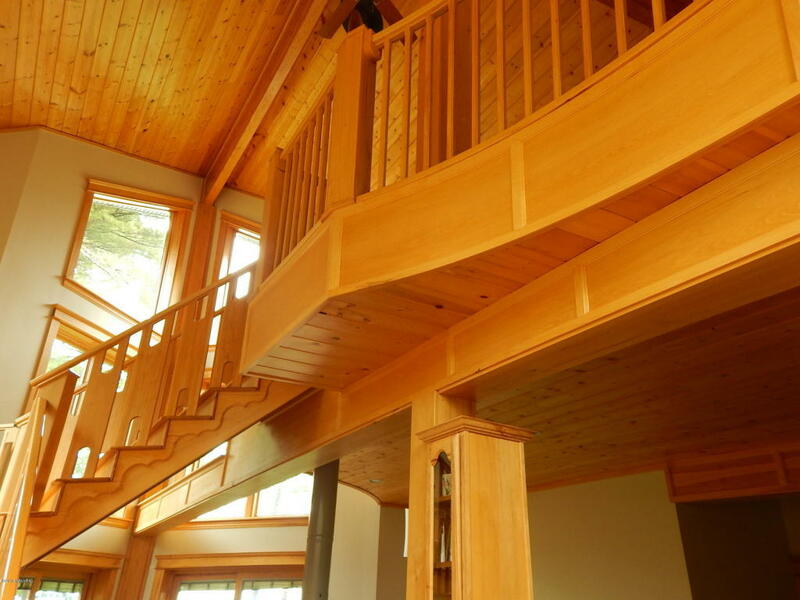 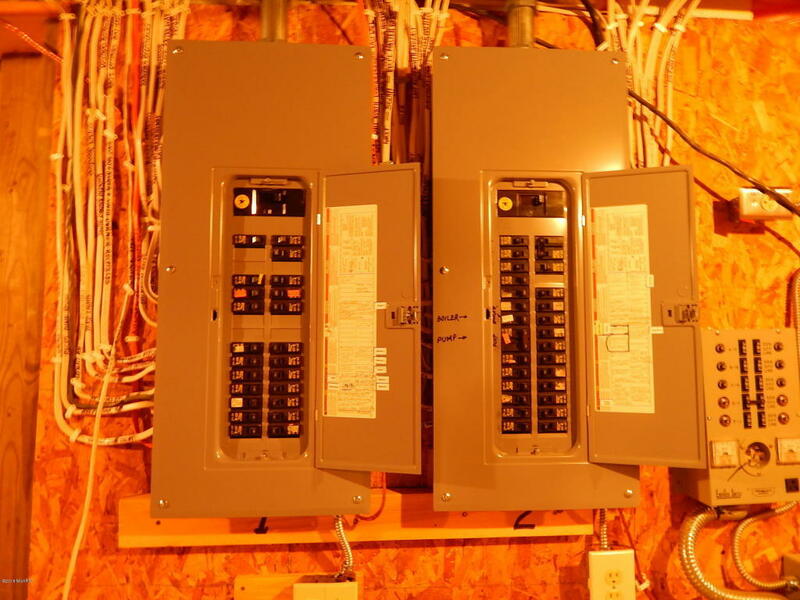 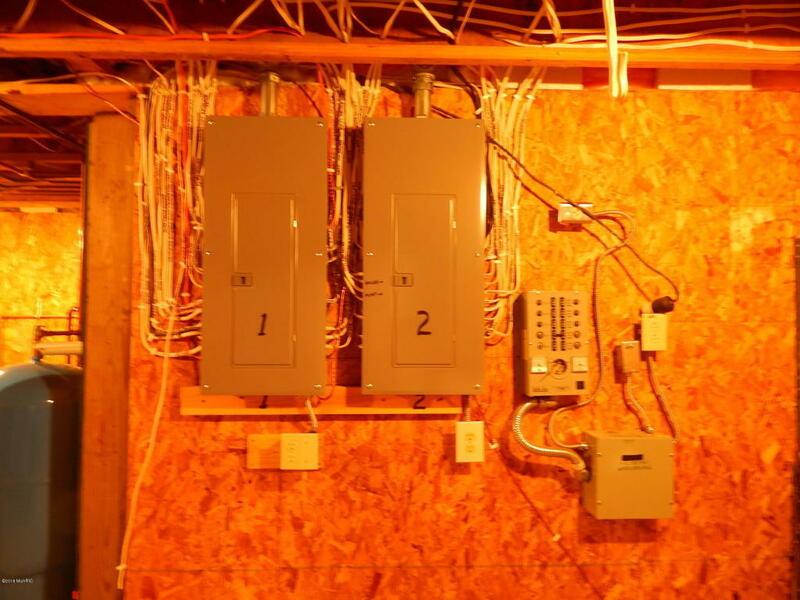 Constructed of custom made Porter structural panels the walls provide a R Value of 30, ceiling R 45 and basement R 31. 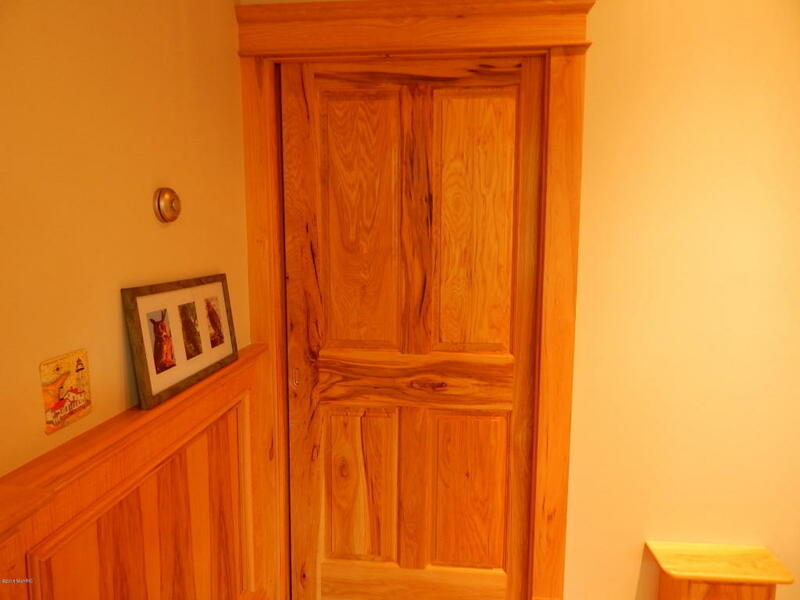 Incredibly strong, warm and soundproofed. 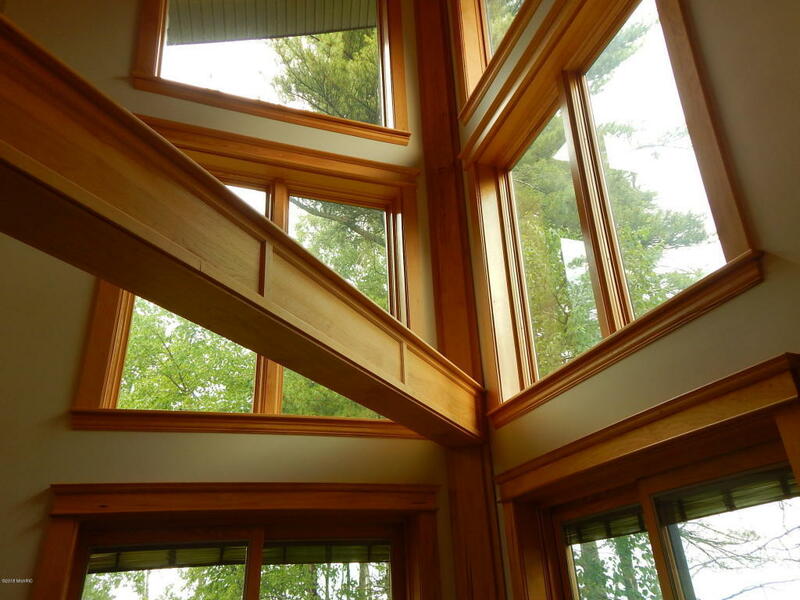 The windows are Pella Designer Series triple pane energy efficient low E glass. 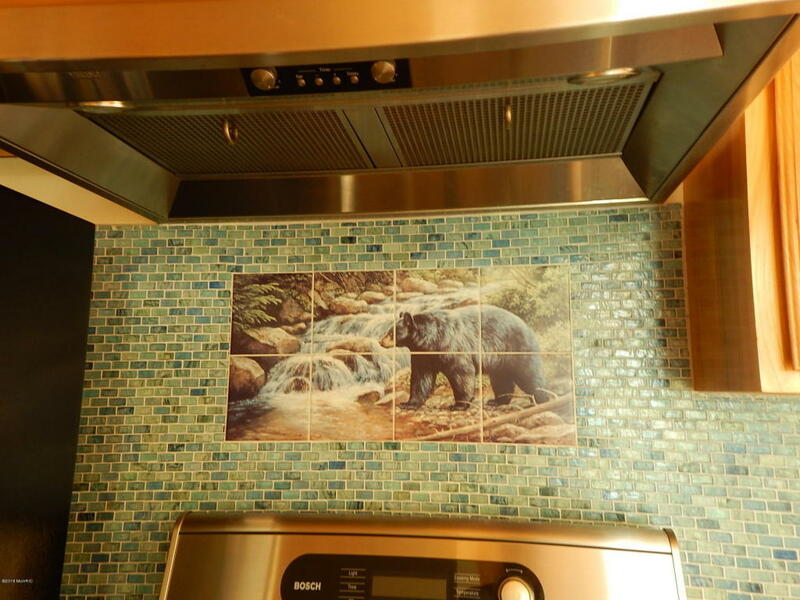 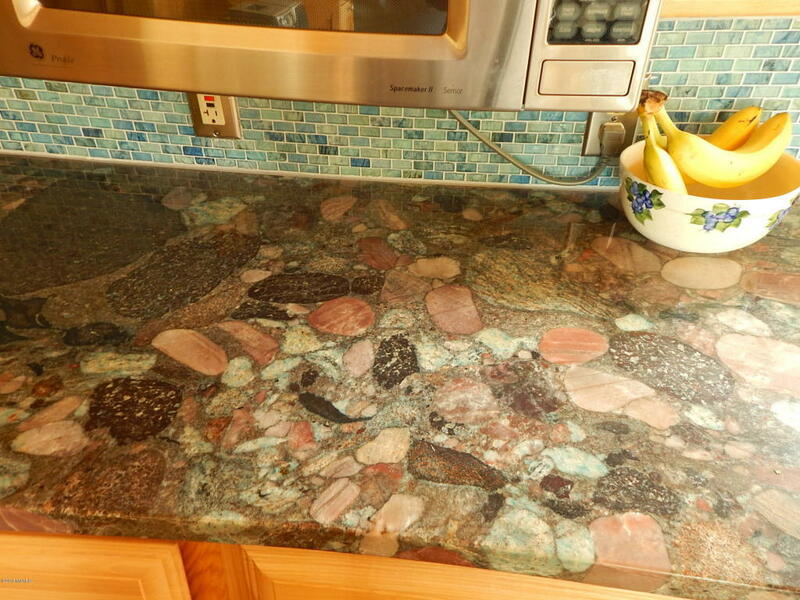 The kitchen showcases Brazilian Blue Marinache Granite countertops, Schrock hickory cabinets and stainless steel appliances. 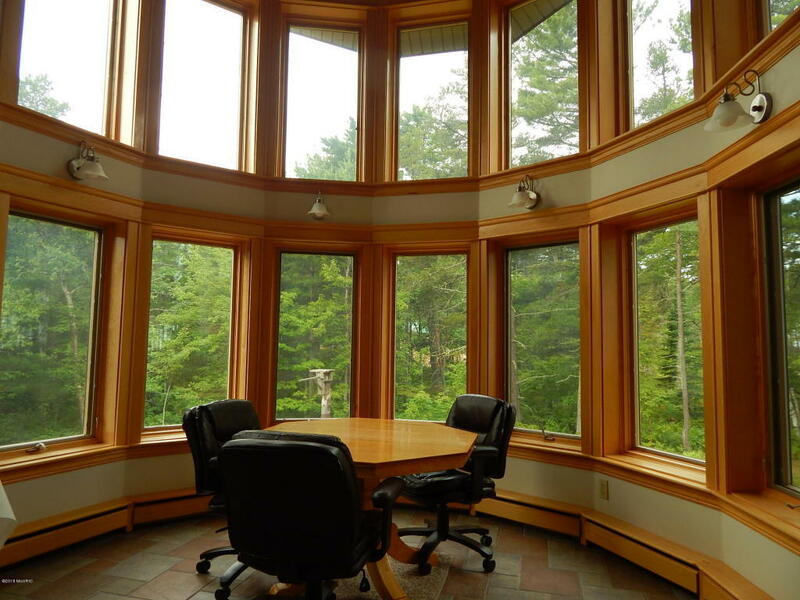 While the dining room is radius shape and provides expansive 180 degees of viewing. 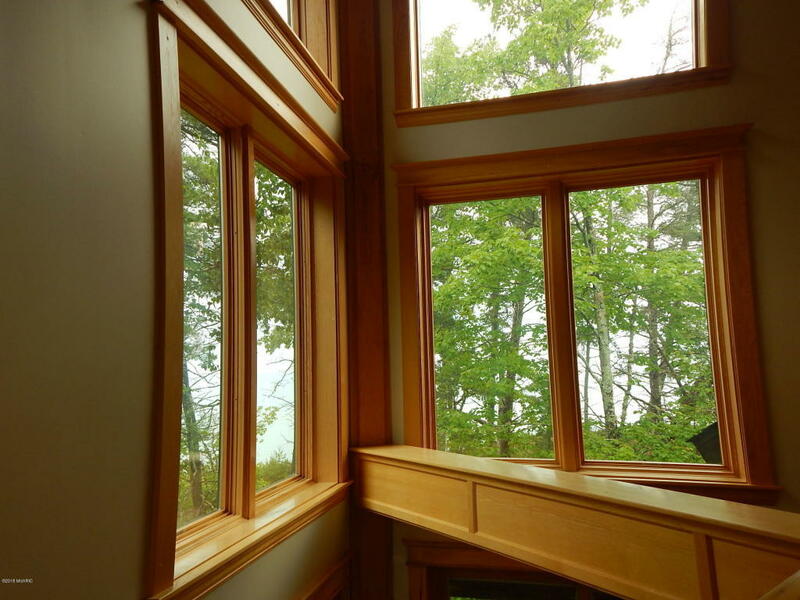 The prow designed living room is not only unique but so appropriate for a Great Lakes home. 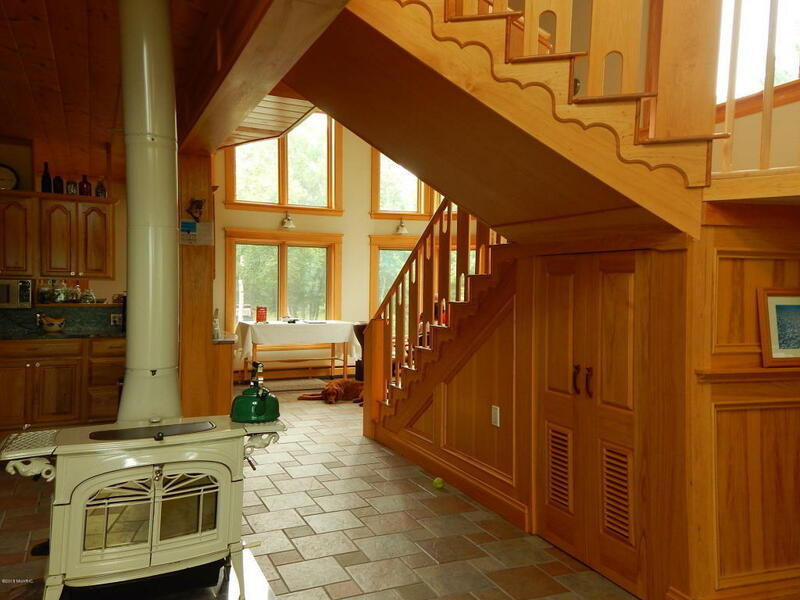 There is a Vermont Casting wood stove which will provide a cozy setting on those cool lake evenings as you look out towards the lake. 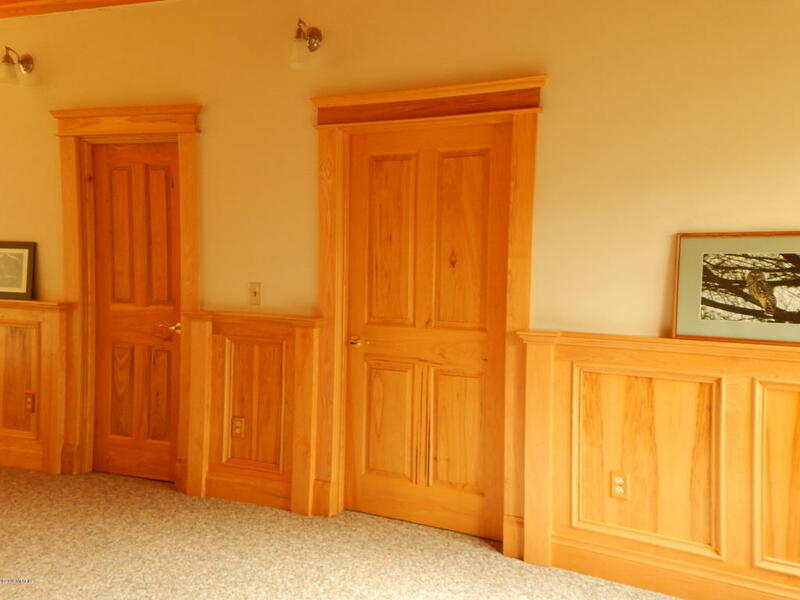 The Master Bedroom floor is of custom quarter sawn ash with a meticulous border inlay. 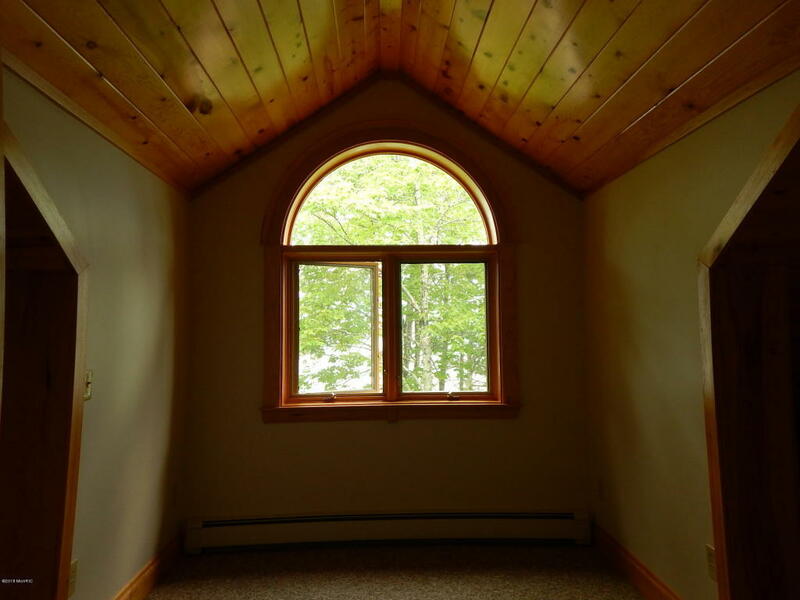 The 2nd floor family room provides gorgeous views of both sunrises and sunsets...take your pick. 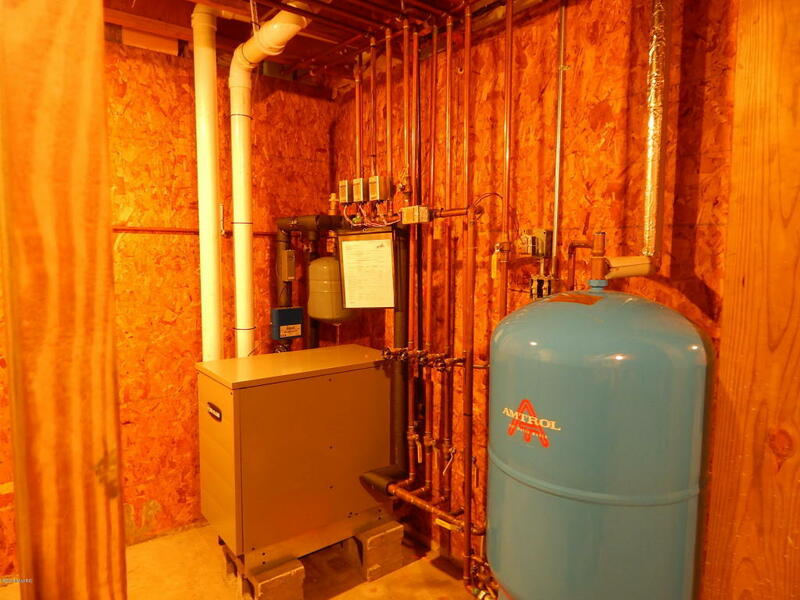 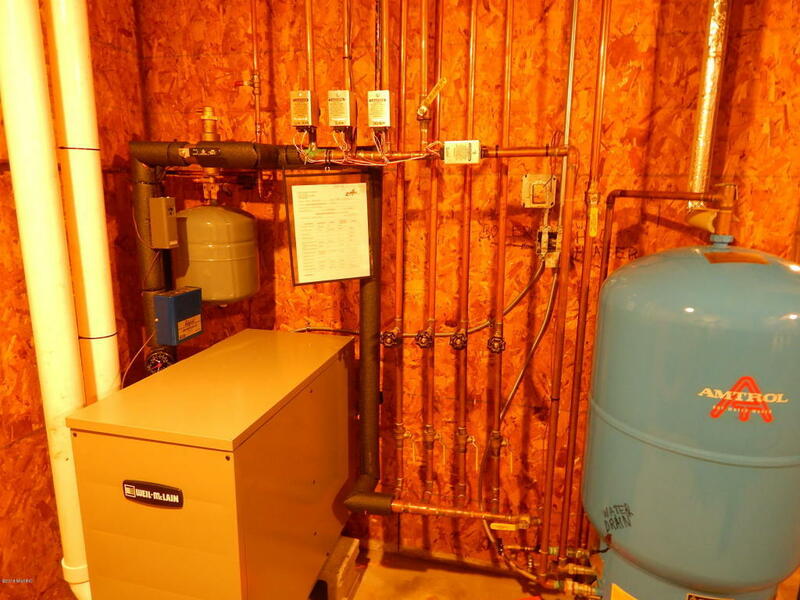 Maintenance is a breeze with the central vacuum system. 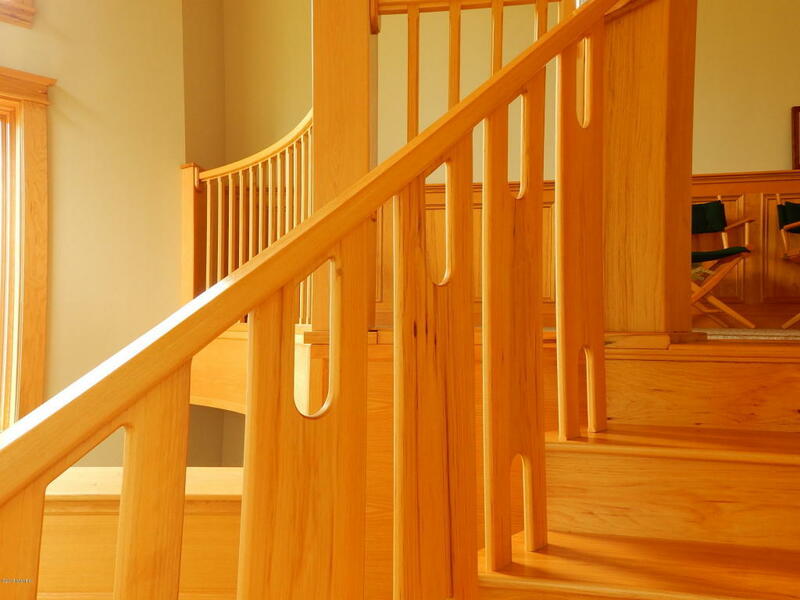 sawn ash with a meticulous border inlay. 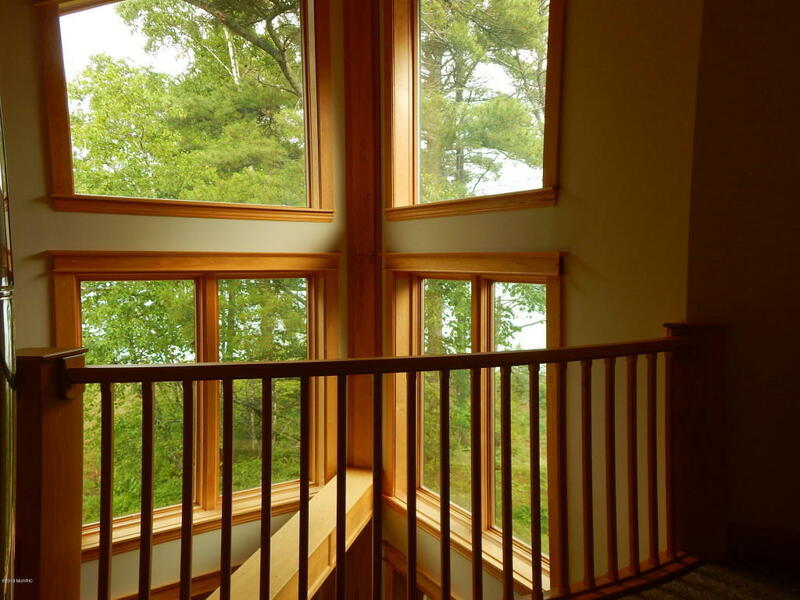 The 2nd floor family room provides gorgeous views of both sunrises and sunsets...take your pick. 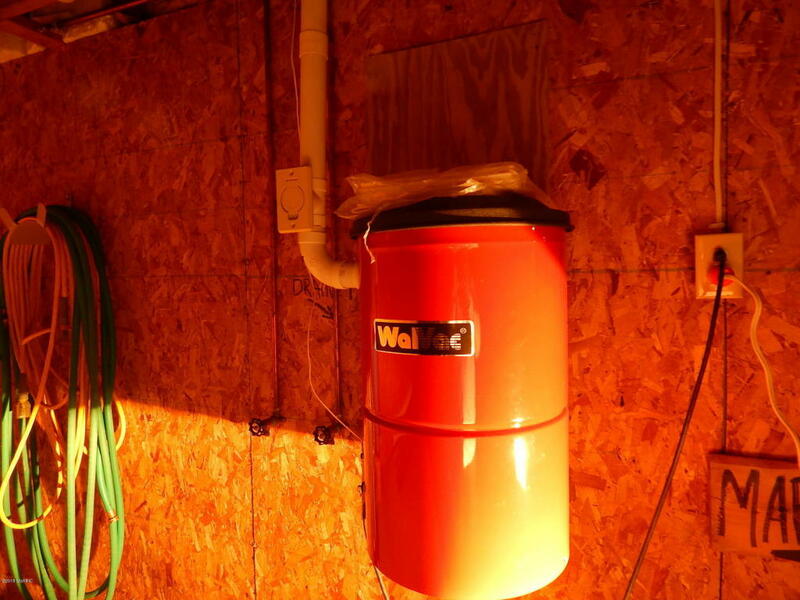 Maintenance is a breeze with the central vacuum system. 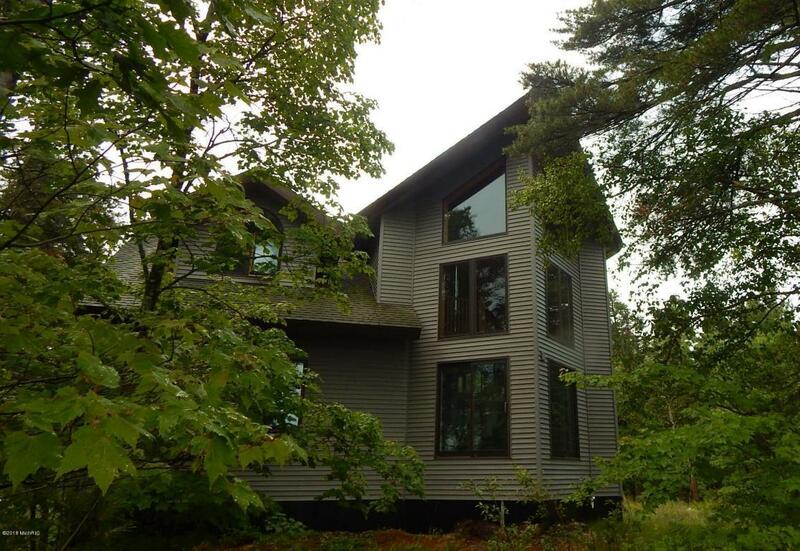 The home is nestled amongst the trees on 6 acres. 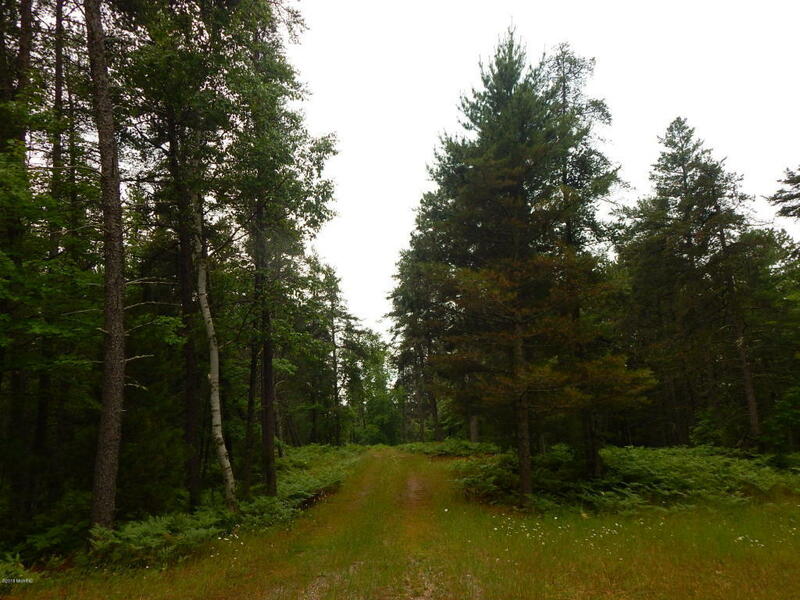 If you need more room to roam, the are over 100,000 acres of public land across the road. 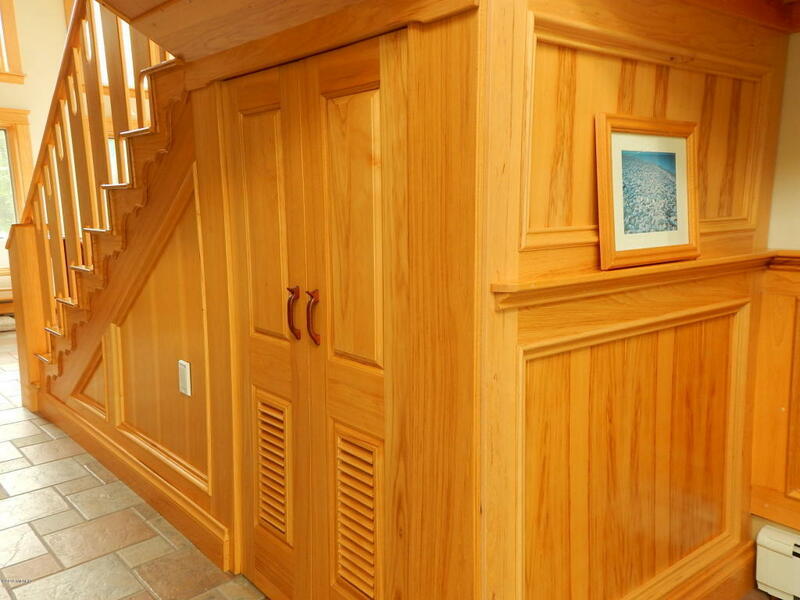 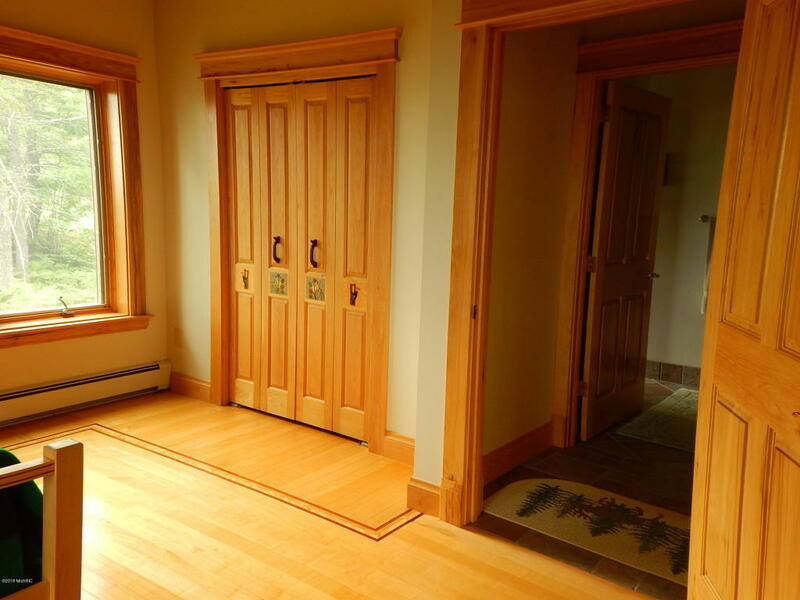 From the tiled foyer with its hickory walls and built in armoire to the vaulted ceilings and custom millwork throughout this home boasts quality built for years and years of pleasure.